Today, I had the privilege of connecting with students from Ohio during a Virtual Field Trip to talk about the contributions and sacrifices of Senator Daniel Inouye, who passed away yesterday of respiratory complications. Inouye was in his 49th year of service as Senator from Hawaii and was a WWII veteran of the “Go for Broke” 442nd Regimental Combat Team. Inouye vividly remembered the attack on Pearl Harbor, and rushed to help as a medical volunteer in the aftermath. Once the ban was lifted on Japanese Americans in the military, Inouye enlisted and soon rose to the rank of platoon leader. In the last months of the war, Inouye lost his arm while attacking a machine gun nest. His right arm was severed by German fire as he was attempting to throw a hand grenade. He pried the grenade out of his right hand and threw it with his left into the nest. For his actions that day, he was awarded the Distinguished Service Cross. 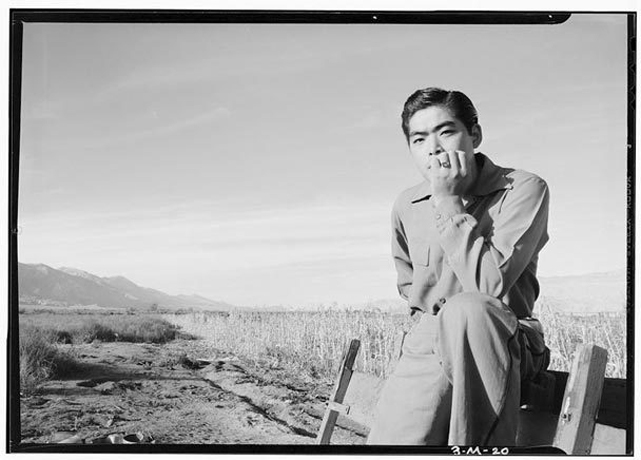 Inouye never turned his back on his country, especially when he enlisted and served while fellow Japanese Americans were being interned on the U.S. mainland. Connecting with students to talk about WWII history is rewarding, as they understand the sacrifices of American soldiers and citizens alike. These lessons are especially meaningful to students when they learn about Senator Inouye and other selfless WWII veterans. Book the I AM an American! Japanese Internment in WWII Virtual Field Trip today! 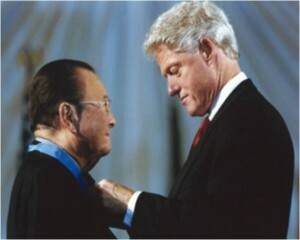 The National WWII Museum remembers Senator Daniel Inouye. Today, a day shy of his 92nd birthday, pioneering jazz pianist and band leader Dave Brubeck passed away. Brubeck was one of post-war jazz’s great innovators, bringing improvisation and unusual and often challenging time-signatures and folk rhythms into the mainstream musical vernacular. His 1959 opus, ‘Time Out,’ became the first jazz album ever to sell over a million copies. However, before the million-sellers, Brubeck was merely one of over 16 million Americans who found themselves serving in WWII. ‘They said you know you’re going to have to be at the front soon, but tonight there’s going to be some girls come up and entertain you, Red Cross girls, so they had a piano on the back of the truck, where the side of the truck came down and made a stage, and they asked over their loud speaker, ‘Is there a pianist that will come up and play with, for us, because we need a piano player.’ So, I finally raised my hand. I remember I was sitting on my helmet, in a place called ‘The Mudhole’, and I went up there and a Colonel heard me play and he said, ‘This guy shouldn’t go to the front. We want to keep him here and form a band.’ We formed a band of two guys that were with me, that hadn’t been to the front and the rest of the guys were guys that had been to the front and been injured, shot and they would send them to me. My Wolf Pack Band was mostly guys that had the Purple Heart, we could play right at the front line because the front line troops, when you’re just ready to go into battle the USO doesn’t usually getup that far and if they did they wouldn’t be accepted as well as seeing guys that have already been wounded. Brubeck and his Wolf Pack Band (two members seen above), officially designated as the Third Army Replacement Depot Jazz Band, would, for the next two years, serve as entertainment on the front line and in the rear for Allied troops and later for the American occupying forces in Germany. 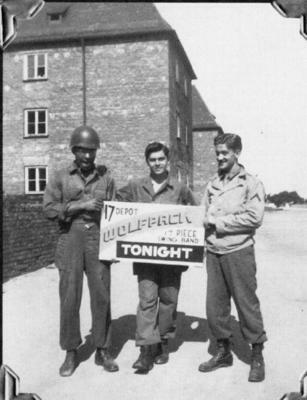 The Wolf Pack Band was also notable for being the first racially integrated military band in American service. Discharged in 1946, Brubeck returned to his home state of California to further hone his inimitable personal style; a style most certainly shaped by his experiences serving in the Second World War. We at The National WWII Museum were very sorry to hear about the passing of our friend, Senator George McGovern, over the weekend. As a WWII veteran, McGovern championed the Museum’s cause and we were fortunate to have him visit for a number of events, including the November 2009 grand opening ceremonies for the Solomon Victory Theater complex. On April 18, 2009, Senator McGovern also delivered a lecture entitled Wars Past and Present to a packed Museum house. Watch this lecture in its entirety. In February of 2009, his oral history was added to the Museum’s permanent collection. This addition was highlighted in the Winter 2009 edition of the Museum newsletter, V-Mail. Although Dr. George S. McGovern is best known for his years in the US Congress as well as for his 1972 bid for the Presidency, he also served in the US Army during World War II. During the latter years of the war in Europe, he was a young 2nd Lieutenant and a B-24 Liberator pilot. When he completed flight training and deployed overseas, he was assigned to the 741st Bombardment Squadron/455th Bombardment Group of the XVth Air Force based in Cerignola, Italy. 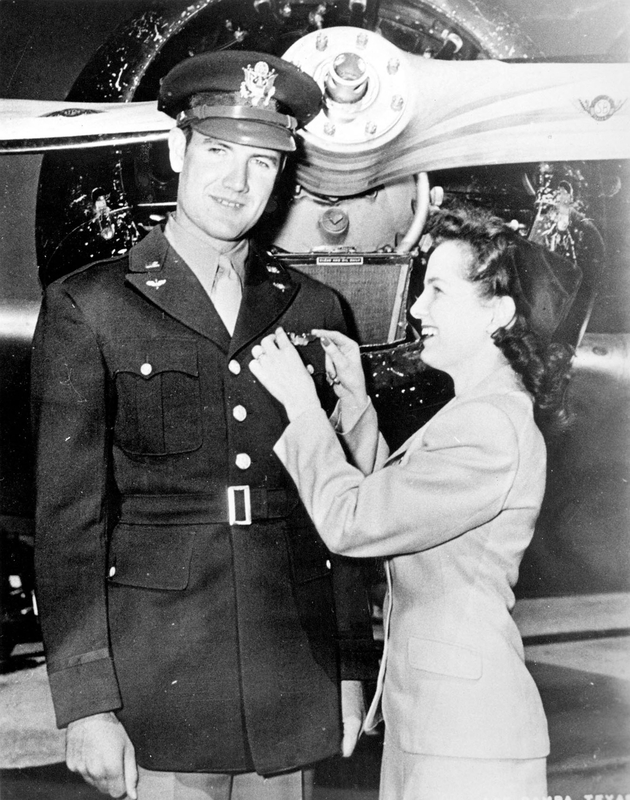 During the course of his time in Italy Lt. McGovern flew 35 combat missions, earning the Distinguished Flying Cross. His extraordinary bombing missions over central Europe and his experiences as a flight officer in the USAAF are chronicled in the book The Wild Blue by the late Dr. Stephen E. Ambrose. A graduate of Dakota Wesleyan University, McGovern subsequently completed his Ph.D. in History at Northwestern University prior to entering the political arena. World War II introduced me to genuine human hunger for the first time in my life. I saw children handicapped and weakened by lack of food. I saw mothers and fathers in anguish, unable to provide adequate food for their families. 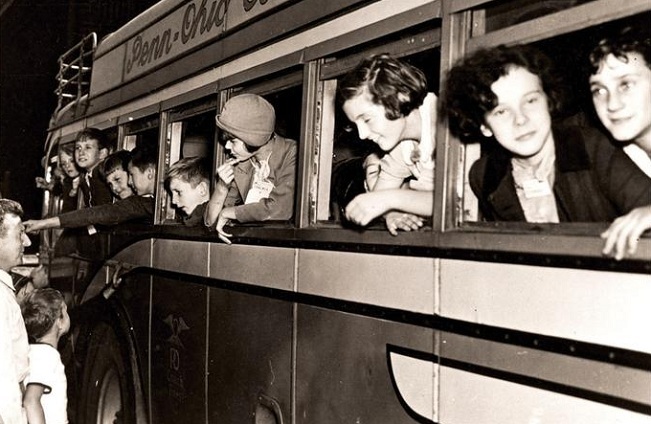 I came back from World War II, where I served as a bomber pilot, determined to do what I could to help reduce world hunger, especially in children. Our deepest sympathies are extended to the Senator’s family and friends as well as all who were touched by his life. Born in Okemah, Oklahoma on 14 July 1912, the revered American songwriter Woodrow Wilson Guthrie would have celebrated his hundredth birthday today; centennial tributes abound, including a This Land is Your Land Tribute concert at the Kennedy Center schduled for October. In honor of the anniversary, we’d like to feature the song The Sinking of the Reuben James, which Guthrie wrote to memorialize the sailors who gave their lives on the destroyer, the USS Reuben James. On 31 October 1941, the Reuben James was underway near Iceland escorting a convoy en route to Britain when she was sunk by U-552. Of the crew, 44 survived and 115 perished. Guthrie wrote the song soon after the attack and it was recorded in 1942 for the album Dear Mr. President by the Almanac Singers (which included Pete Seeger). Initially an isolationist left-wing group, after the Nazi invasion of Russia, the Almanac Singers recorded songs like the Deliver the Goods and Round and Round Hitler’s Grave urging American intervention. 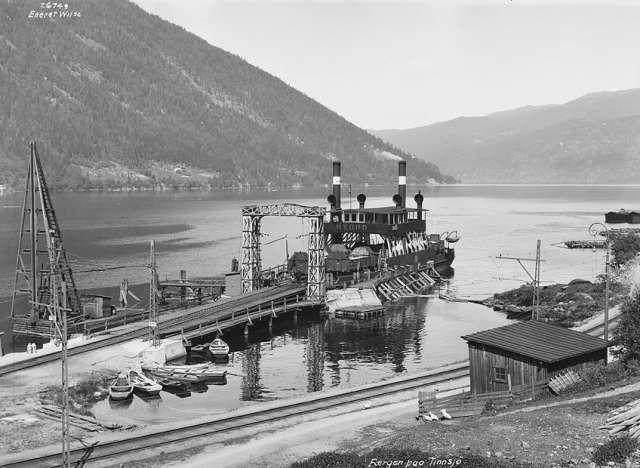 In 1943, Guthrie signed on as a merchant seaman and made several voyages and lifelong friends. On these voyages, Guthrie would often perform for his crewmates, including the song The Sinking of the Reuben James. Guthrie wrote many songs during this time about the fight against fascism and oppression including All You Fascists are Bound to Lose, Tear the Fascists Down, Talking Merchant Marine, Life Belt Washed up on the Shore, and Miss Pavlichenko, about the famed Soviet sniper Lyudmila Pavlichenko. 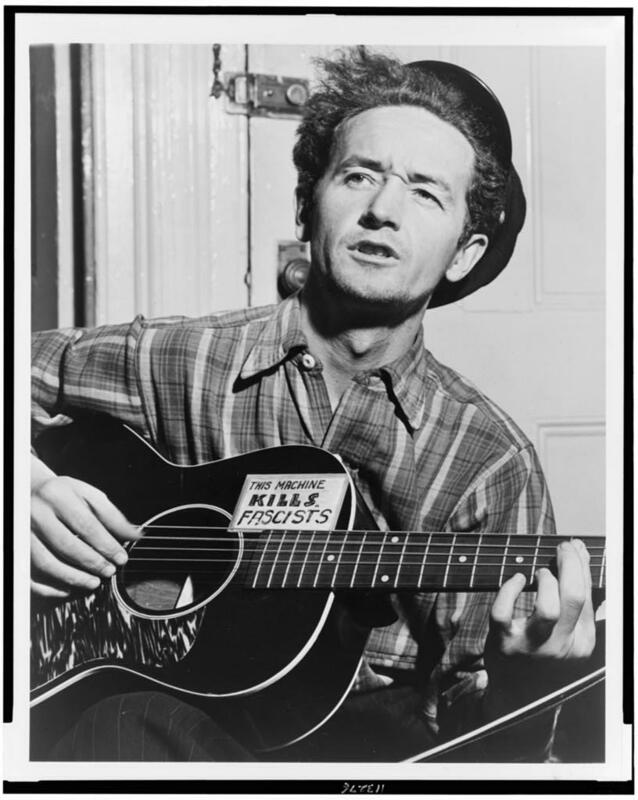 Thanks for these songs and a happy birthday to Woody Guthrie. While much of the world reveled in the news of Allied victory over Nazi Germany on May 8, 1945, troops in the Pacific felt no cause for celebration. In his autobiography, With the Old Breed at Peleliu and Okinawa, E.B. Sledge talks about reaction to the announcement. 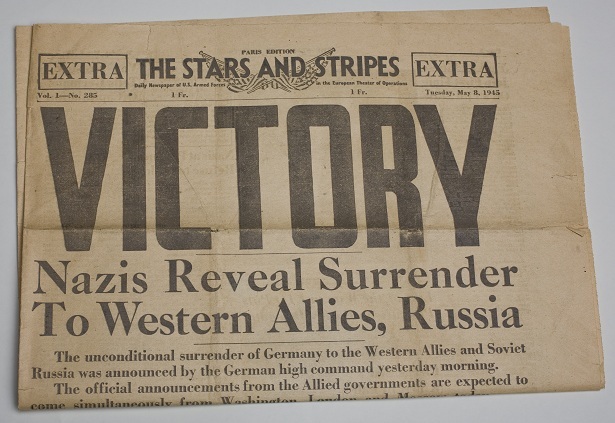 On 8 May Nazi Germany surrendered unconditionally. We were told this momentous news, but considering our own peril and misery, no one cared much. “So what” was typical of the remarks I heard around me. We were resigned only to the fact the Japanese would fight to total extinction on Okinawa, as they had elsewhere, and that Japan would have to be invaded with the same gruesome prospects. Nazi Germany might as well have been on the moon. The main thing that impressed us about V-E Day was a terrific, thundering artillery and naval gunfire barrage that went swishing, roaring, and rumbling towards the Japanese. I thought it was in preparation for the next day’s attack. Years later I read that the barrage had been fired on enemy targets at noon for its destructive effect on them but also as a salute to V-E Day. Purchase a copy of With the Old Breed at Peleliu and Okinawa from the Museum Store. On April 15, 1912, the luxury liner RMS Titanic met a tragic end on her maiden voyage after striking an iceberg in the North Atlantic Ocean. It is estimated that more than 1,500 passengers and crewmembers lost their lives in an event that has captivated the public for a century. Since then, the story of the Titanic has worked its way into popular culture with a number of fictionalized accounts, the most famous being the 1997 James Cameron blockbuster starring Leonardo DiCaprio and Kate Winslet. But an earlier WWII-era German film, released in 1943, actually used the story of the ill-fated vessel as a means of propaganda to malign British and American ideals as being overly-materialistic, greedy and capitalistic. Made by Tobis Productions for the Universum Film AG (UFA) studio in Berlin, Titanic was released in December 1943. The film would later be banned by Propaganda Minister Joseph Goebbels for a number of reasons, including the fact that late in the war, the last thing he wanted to expose citizens to were scenes of mass panic and death. Additionally, a scene where steerage passengers remained locked behind gates with no hope of escape was deemed too similar to real-life scenes being played out in concentration camps. The plot puts the blame for the tragedy squarely on selfish White Star stockholders, who throw caution and concern for passengers and crew to the wind in the promise of a financial windfall. 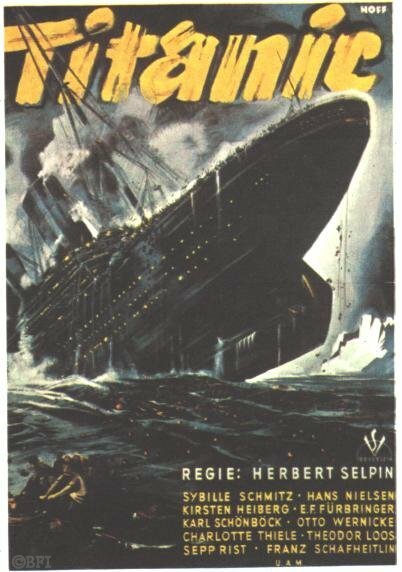 Additionally, the film’s protagonist, a fictional German First Officer named Herr Petersen, tries to prevent the careless behavior that leads to the sinking and later selflessly attempts to rescue those on the ship. German passengers in steerage go to their death with a quiet dignity and courage, while British and Americans resort to any means to save themselves while in a state of full-on panic. The film was the most expensive German production up until that time and was fraught with disasters of its own. Including the arrest of the original director, who had been overheard criticizing the film’s marine consultants (German officers) for being overly preoccupied with the female actresses. He was reported to the Gestapo and soon after his arrest, in what was dubiously ruled a suicide, was found hanged in his cell. Additional delays occurred when the original version of the film was destroyed in a bombing raid. The stand-in for this fictional Titanic was the SS Cap Arcona (which was sunk on May 3, 1945, by the RAF with an estimated death toll of 5,000). The film would fade in and out of obscurity for several years, often reemerging with the more-propagandized elements censored out. The complete and uncensored version was released on DVD in 2005. The SF Hydro. The Norwegian resistance would succeed in sinking her, along with all remaining heavy water in 1944. On this day in history in 1943 more than 150 US Army Air Force bombers targeted a factory in German-occupied Norway that produced heavy water, a key ingredient in creating nuclear weaponry. In conjunction with American bombers in the air, the Norwegian resistance was active on the ground in collaboration with the British SOE. An earlier attempt to destroy the factory in 1942 had resulted in several British and Norwegian operatives being captured and executed by the German secret police. By destroying the Vermork nuclear facilities, the Allies hoped that the Germans would be unable to continue progressing toward the attainment of nuclear power. Realizing there was little point in continuing to function while the Allies sought to destroy the factory, the Germans decided to simply move all the existing heavy water to Germany. A step ahead of the game, members of the Norwegian resistance were able to sink the boat transporting the heavy water, the SF Hydro, in February 1944. 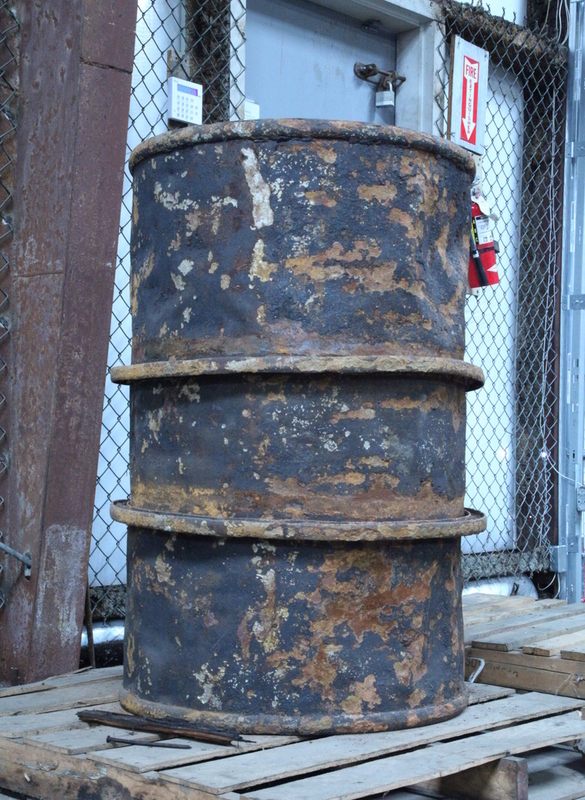 More than 60 years later, a crew began exploring the bottom of Lake Tinn and pulled up several of the heavy water barrels, one of which is now in the collection of The National WWII Museum. This post by curator Meg Roussel. 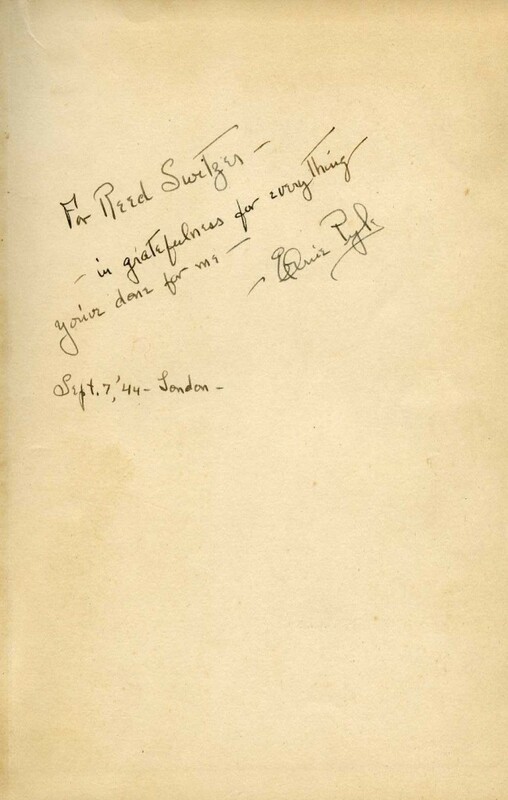 A copy of Here Is Your War with a personalized note to Reed Switzer, a US serviceman who aided Pyle in responding to the hundreds of fan letters he received while stationed overseas. 7 September 1944. Gift of Reed Switzer, National WWII Museum, 2003.114. 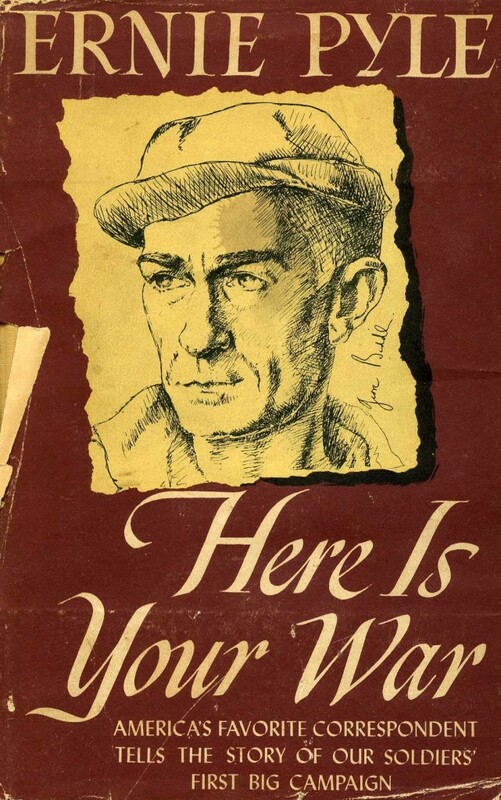 After reading this poignant NYT article about the precarious situation of the Ernie Pyle Museum in Dana, Indiana, I was reminded of the National WWII Museum’s own Ernie Pyle treasures and felt compelled to share. Pyle was perhaps the most well-known and almost undoubtedly the most well-loved war correspondent of the Second World War. He shadowed troops starting with some of the earliest US combat on the sands of North Africa in 1942, made his way through Sicily & Italy, and landed on the beaches of Normandy on D+1. Unlike many war writers, Pyle never shied away from the ugly truth of war or attempted to pretty it up for the sake of those at home. Rather, he told it like he saw it and won a 1944 Pulitzer Prize for his honest articles that focused on the experience of the grunts and dogfaces fighting for their lives and country in the mud instead of writing to boost morale on the Home Front. Here’s a sampling of stories featuring World War II references, veterans and more from today’s news. Almost 70 years later, it’s amazing to see what a big part of our daily lives the war is today.